Despite the widespread modernization of utilities, the quality of their services leaves much to be desired. This is especially true of hot water. To solve this problem once and for all you need to buy a gas water heater. How to choose a geyser that meets all requirements will be discussed in this article. Flowing gas water heater (circuit diagram). 11. Outlet for cold water. The flow through gas column is compact in size due to the small gas burner and the lack of a hot water tank. It can be installed in a small room with good natural ventilation. However, such devices have a small capacity. To connect several hot water intake points to the DHW system, you need to purchase a high-power device. Such columns are best suited for city apartments. Cumulative instruments are of considerable size. The volume of the tank ranges from 50-500 liters. To use hot water there is no need to turn on the device every time. Effective heat insulation capacity allows you to save heat for a long period. The heat exchangers of the apparatus are more efficient. Of the main drawbacks should be noted significant size, which forced to install the device in a special boiler room, basement or in attics. In addition, a significant weight of tanks with a large volume of water requires additional strengthening of floors and preparation of the concrete base. 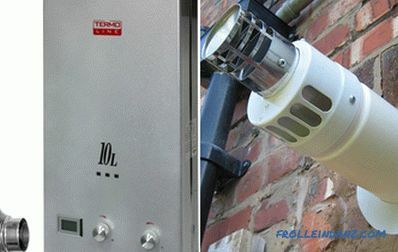 Such gas water heaters should be used in cottages and private houses, where there are many points of use. Such a parameter as a gas column performance can be specified in either kW or l. / min You can find out this indicator by looking at a special sign which is placed on the case of the column itself or by looking into the device’s passport. Most often, the performance is indicated in l. / min You can determine the power of the column you need by the number of water intake points, i.e. by the number of mixers. It is believed that one mixer is capable of passing 6 - 7 liters. / minute. 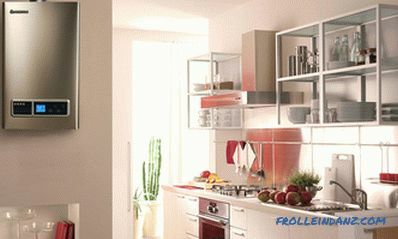 Suppose that the column is selected for the apartment in which two faucets are installed in the bathroom and kitchen. In order to have a comfortable, simultaneous use of hot water in both rooms, a 13-liter column is necessary. / minute. With the help of the table below you can find the power of the gas flow column you need. is designed As for water pressure, it is necessary Pay attention to 2 indicators, this is the minimum pressure at which the column is turned on and the maximum pressure that the heat exchanger can withstand. 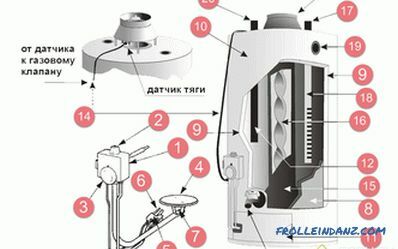 The minimum pressure is very important for gas water heaters of the flow type, sincedepends on it whether the gas column can turn on at all. This is especially important for the houses of the old buildings, where the infrastructure is worn out and the pressure in the water supply is too low. It is best if this indicator is not higher than 0.15 bar. The maximum pressure that a column can withstand is important for the reason that water hammer systems are typical for water supply systems. When this occurs, a short-term increase in water pressure in the water supply system, which can lead to rupture of the coolant gas heater. It is important that the maximum pressure be between 11 and 12 bar. 1. Low cost and technically less advanced devices have manual ignition type. It is made by pressing a button and bringing a match to the bollard, it is very inconvenient and unsafe, especially if the geyser is in a hard-to-reach place. Moreover, after the start-up the wick continues to burn, which is not very economical. 2. Piezorozhnig - a variant of an electromechanical match integrated into the system, does not bring any serious advantages in comparison with manual ignition. Mechanical control with a minimum of electronic components. Activation occurs at the touch of a button. 3. More modern models are equipped with an electric ignition system. Therefore, if you think about how to choose a gas column machine, then you need to decide on the ignition system. 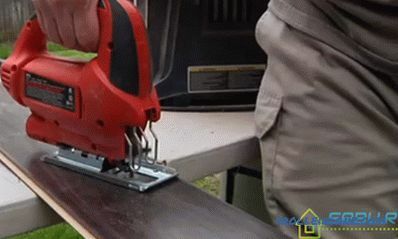 It can be divided into volatile - the connection using the adapter to the household power grid and non-volatile. In the case of a volatile system, when a power outage the column simply stops working. Schematic diagram of the hydrogenerator of the gas column. 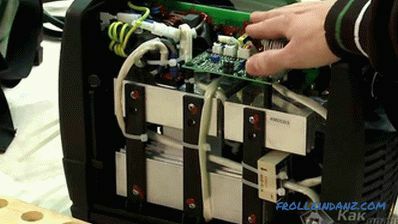 Electric ignition on batteries is a non-volatile system with electronic control. It is installed both as a backup and as the main ignition system. Special LCD monitor shows battery charge level. Of all the above, the non-volatile hydrogenerator is the most efficient, however, such systems are quite expensive and difficult to repair, they require the installation of additional filters for dirt traps on the water supply pipe. At the moment, the most common option is to connect the column to the mains. IMPORTANT! If the place of residence there is a frequent blackout, then you can buy CHD - an uninterruptible power supply. Do not neglect and stabilizing devices, especially with frequent power surges. This device controls the intensity of the flame in a heat exchanger depending on the pressure of the cold water entering the column. A very convenient device allows you to safely use the water of a given temperature, regardless of whether the neighbors turn on the water, because of which the pressure drops, or not. This not only reduces gas consumption and significantly increases the comfort of using DHW without regard to other water intake points in the apartment, but can also protect you from thermal burns. Steel - has low cost and corrosion resistance. Products with steel heat exchangers have considerable weight, but also greater reliability. Highly purified copper - mechanical characteristics are similar to steel, but the heat transfer is much higher, thanks to this, the efficiency of the device will significantly improve. Simple copper - due to the presence of impurities, the heat exchanger is heated unevenly and the capacity bursts. To prevent this from happening too quickly, many low-cost manufacturers treat the surface of the pipes and the heat exchanger with specially heat-resistant paint, but there is no tangible benefit from such a “lining” that a part burns out over several years of operation. There are two types of gas columns depending on the method of removing carbon monoxide. The first type is a classic, with a chimney. In most apartments that are converted for use of gas-heating appliances, it is not acceptable, since there simply is no technical possibility of installing a chimney and putting it on the roof. The second type is chimney-free (parapet). 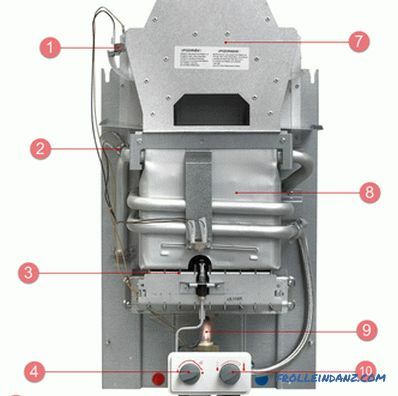 Hole for removal of products of combustion is done in the wall of the building.This type of equipment is somewhat more expensive and is volatile, since the removal takes place by force with the help of a fan installed in the body of the column. The room in which the flueless gas column is installed must have good natural or forced ventilation. Removal is carried out by force using a turbine or a fan built into the discharge pipe. Special attention should be paid to rooms with plastic windows installed. Lack of access to air can affect the operation of the device. Provided that there are appropriate detectors, the column simply does not turn on. If they are not, the result may come out the most deplorable. To solve the problem will help the vent valve which can be embedded in the plastic part of the window with your own hands. valve designs are quite complex with multi-stage filters and the most simple and cheap. Flow Detector. Automatically turns on the column when opening a tap at any point in the water intake system of the DHW system. Thrust detector. Blocks the operation of the water heater, if the draft in the smoke duct is insufficient. It prevents the filling of the room with carbon monoxide. Low pressure water detector. Geyser will not turn on if the water pressure in the system is insufficient. Prevents burnout of the heat exchanger. Water overheating sensor. Turns off the device when the temperature reaches the threshold value. The last thing you need to decide before choosing a gas water heater, flow type or storage type - this is the manufacturer. It is necessary to pay attention to the products of recognized brands. Their devices are not only reliable and durable, but also have a wide range of additional features. Beretta is an Italian manufacturer that has proven itself to be a good one. A distinctive feature of products is a wide variation in the parameters of functionality in one model range, which makes a significant difference in the range of costs. 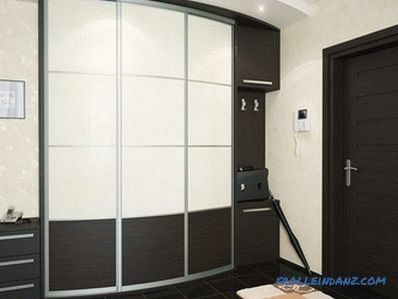 Also, the gas water heaters of this company are distinguished by their exquisite appearance, which allows you to do without the use of false panels during interior design. Ariston is another Italian manufacturer. Product quality is combined with a fairly affordable cost. The functionality of the devices necessarily includes an electronic or mechanical function to maintain a given water temperature. Components and assemblies subjected to the main operational load are made of composite materials that are resistant to corrosion and guarantee a long service life. Vaillant is a German manufacturer that cannot be doubted as equipment. Its devices are characterized by high performance and unpretentiousness, both to the level of water pressure and to the quality of gas, the latter is especially important for domestic gas systems. Bosch GmbH Thermotechnology - the concern includes several brands Buderus, Junkers and Thermotechnology. 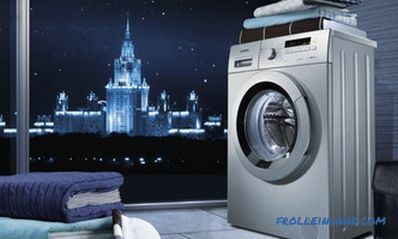 The geyser of Bosch is exclusively qualitative and reliable product. Gas fittings products have the ability to control the required power, the water at the outlet has a predetermined temperature and pressure regardless of the dynamics of changes in these parameters in the water supply system. Electrolux is a Swedish manufacturer. 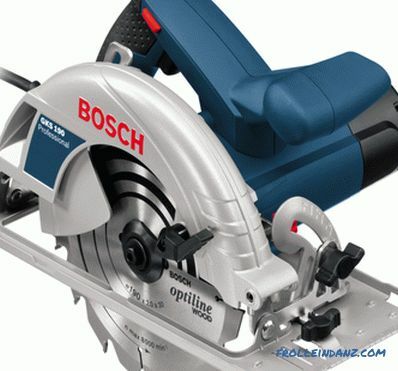 His products, despite the highest quality, are positioned in the middle price category. The geyser electrolux differs in use of qualitative materials. Copper heat exchangers undergo a special treatment that creates an additional protective layer on the material surface that excludes the manifestation of corrosion processes. In one-room apartments with families of up to three people, a gas heater with a power of 15-17 kW and a capacity of 10-11 l / min will be quite sufficient. In two and three-room apartments with the number of tenants more than 3, the minimum required power of 23-24 kW guarantees a productivity of 13-14 l / min. If there are several water intake points in the DHW system, and the use of hot water has considerable intensity, then gas water heaters with a capacity of at least 25-30 kW with a capacity of 15-17 liters / min should be installed. In the private sector, where significant fluctuations in the pressure of cold water with a drop to 1 atmosphere are possible, it is advisable to purchase storage devices operating at a minimum pressure of 0.1 atm, then the user will have a supply of water in case of unexpected shutdowns.